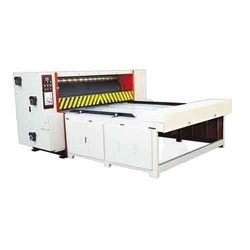 Manufacturer of a wide range of products which include automatic partition slotter machine, printer slotter machine, rotary die cutting machine, single color printer slotter, chain feed rotary slotting machine and semi auto rotary wheel slotter. 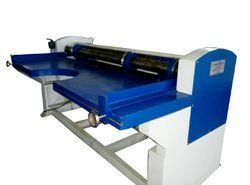 This machine is equipped with advanced hydraulic system to change the flute rolls quickly. 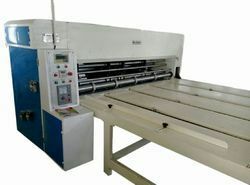 The machine is sturdy in construction and hassle free to operate. 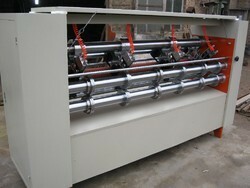 Further, this machine is used for slotting sheets for corrugated boxes. 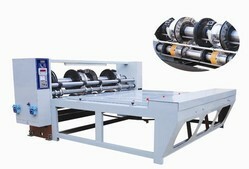 We are the manufacturers of classic, Four Bar Rotary cutting & Creasing Machine. We obligated to meet the quality standards as per the customer demands. 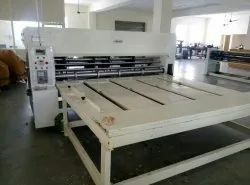 Aiming at utmost patron-satisfaction, we are bringing forth High Speed Automatic Flexo Printing & Slotting Machine into the market. 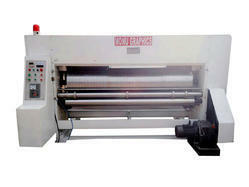 To suit the clients expectations, it is manufactured as per the specifications given by them. 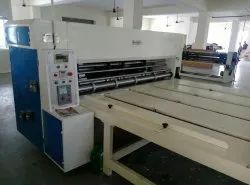 Our professionals tested this machine in our advanced quality testing unit on different parameters so as to ensure its flawless and make it highly valuable for the industrial applications. With the help of world class distribution and delivery mechanism, we render this product direct at the clients' premises within committed time period. This machine has functions of auto returning zero, auto proofreading, etc. All the electrical appliances adopt domestic excellent products. All the drive gears are skewed tooth. It adopts high frequency quenchine, and part of them are cementite treated. After milling, grinding and sprinkle lubricating, the driving precision and using life are greatly improved. The mainframe, blower, phase motor, etc, adopt transducer control, the speed adjusting is steady, and it can save electricity. With auto chain feeding function, it can produce bigger cartons. Each set has emergency stop switches, which can ensure the safety of the operators.